I came across the infographic below and just had to share it. 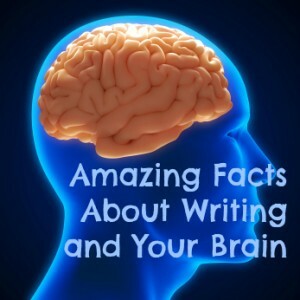 It contains some fascinating information about writing and brain research. Enjoy! I love how it explains why stories are more memorable than information. I’ll have to try to incorporate those types of things in my writing more. Yay! Now I have “science” to back me up. I like to tell my tutoring students to write things over and over to help them remember equations and the like. Now I know why it works. I’ve always known that stories are stickier than the recitation of facts, but this helped me understand why that might be. Thanks for your thoughts, Amber. Now I’m scared to use cliches… O.o Oh, and that stat about people testing a new pen by writing their name? I blushed when I saw that. It’s so true!